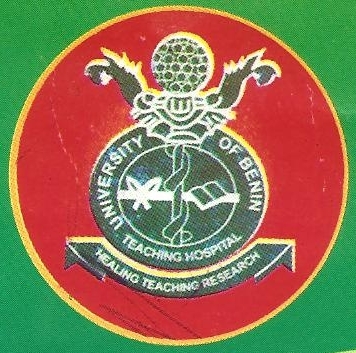 University of Benin Teaching Hospital, UBTH Institute of Health Technology (IHT) admission form for the 2017/2018 academic session is now on sale. Applications are invited from suitably qualified candidates for admission into the UBTH Institute of Health Technology (IHT), Benin City for the 2017/2018 academic session in the following courses. UBTH Institute of Health Technology – Available Courses. UBTH Institute of Health Technology – Entry Qualifications. 1. Applicants should possess a minimum of five (5) credit passes in not more than two (2) sittings in the WASCE/NECO/GCE O/L subjects which should include English Language, Mathematics, Chemistry, Physics and Biology. Subjects obtained with NABTEB are acceptable for programmes 1, 2, 3, 4, 8 and 9. 2. Health Science is acceptable for EMT and Environmental Health Technology courses. (b) Registered Midwife (RM) or Psychiatric Nursing Certificate with one (1) year post qualification experience. 4. For candidates seeking admission to Biomedical Engineering Technology course, a pass in any of the following subjects will be an added advantage, Wood Works, Auto-Mechanics, Basic Electricity, Technical Drawing, Economics and Fine Art. UBTH Institute of Health Technology Admission Method of Application. Admission forms are obtainable at the Office of the Principal, Institute of Health Technology, UBTH, Benin City at a fee of N6,000.00 (Six thousand naira). All payments for purchase of application forms should be made using the REMITA Platform with Account name; “Training Schools” in any bank in Nigeria. Completed application forms should be submitted at the Office of the Principal, Institute of Health Technology, UBTH on before Friday, 25th August, 2017 while entrance examination to the various programmes will hold on Saturday, 2nd September, 2017 at 9.00 am at the Institute of Health Technology Complex, UBTH, Benin City. can one apply for HND environmental technology being an environmental technician.